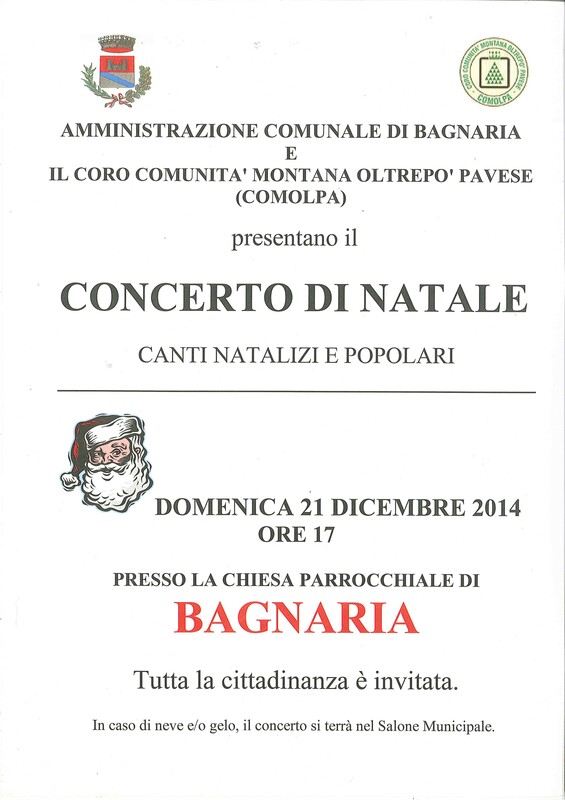 IL 21 DICEMBRE 2014 SI TERRA' IL TRADIZIONALE CONCERTO DI NATALE PRESSO LA CHIESA PARROCCHIALE DI SAN BARTOLOMEO ALLE ORE 17. TUTTA LA CITTADINANZA E' INVITATA A PARTECIPARE!! !